Looking for a few great gift ideas to add to your Christmas holiday shopping list? Then keep these Cyber Monday deals in mind this year! Don’t look now, but some of the biggest shopping days of the year are at hand, right after the annual Thanksgiving Day celebration has wound down, of course. Yearly shopping madness began with shoppers crowding the aisles on Black Friday and visiting brick–and–mortar stores in search of the best holiday bargains. There are plenty of deals this year in your local newspaper, sent by regular mail, and the online sites for retail giants as Academy.com, BassPro.com, or Cabelas.com to name a few. Now that the Black Friday on–site shopping craziness in stores has ended, it’s time for Cyber Monday, the biggest online sales day of the year. There are all kinds of online shopping bargains out there, including many more stores than those noted at the Web addresses above. If you’re still looking for something a little more specific, how about considering one or more of the following Cyber Monday gift options that have found their way into my inbox in recent days? This Bozeman, Mont. based company makes some of the hunting world’s top of the line clothing and related gear. And with this year’s limited–edition Lyle Hebel Artist Series, one of a kind clothing will be available on Cyber Monday … while supplies last, of course! Available at SitkaGear.com, the series includes three caps and four shirts, all featuring timeless themes reimagined from Hebel’s modern perspective. For the limited–edition caps, the cost will be $30 each while the limited–edition shirts are $39 each. 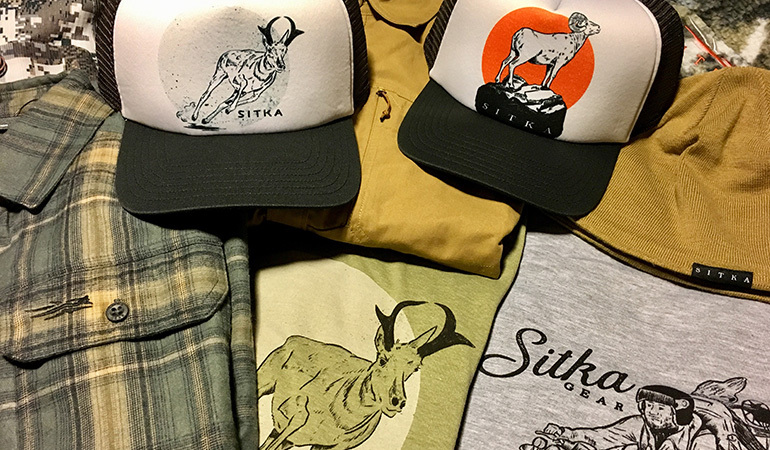 If that sounds like an outdoors enthusiast on your list, better hurry on Cyber Monday to get one of these limited–edition items from SITKA Gear! The custom optics–making gurus at Maven Outdoor Equipment Company will be featuring exclusive online deals on all the Wyoming company’s C–Series binoculars. To get the 20–percent off discount on one of these great Maven binoculars, simply visit MavenBuilt.com, select the C–series product that you want, add it to your online shopping cart, and use the code 2018HOLIDAY–C when you checkout. With the arrival of the holiday season, many outdoors enthusiasts on your shopping list are hoping for more great times in the field with good friends as they chase white–tailed deer, big game animals, upland game birds, and waterfowl. To help make more of those memories possible, how about the deal being offered by the makers of the onX Hunt App? 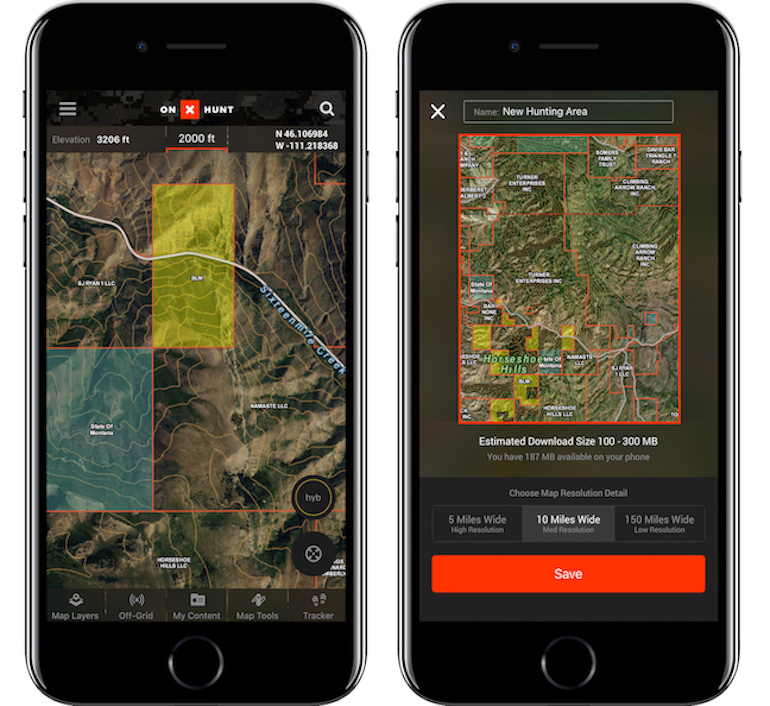 This holiday deal offers 30–percent off on new purchases of either the Elite or Premium membership packages for the onX Hunt App, as well as onX App gift cards and onX Hunt App gear and merchandise. All you have to do is visit the site, select the product that you want, and use the code THANKS30 upon checkout to receive the 30–percent discount offer! Fuel your love of all things related to outdoor cooking with holiday pricing from Camp Chef! 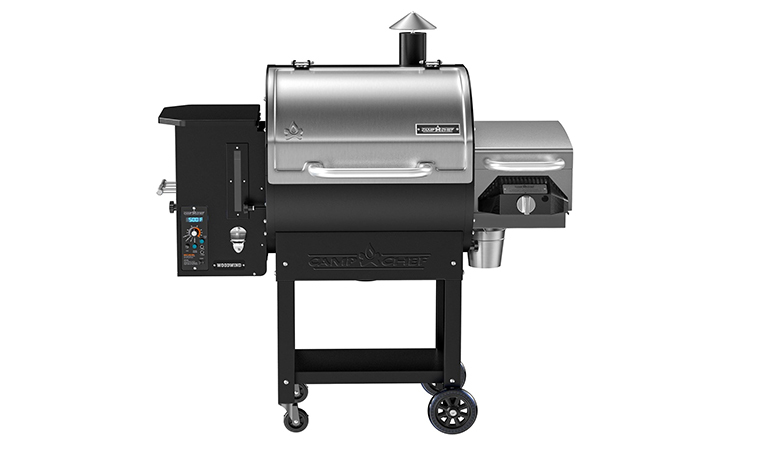 There are several deals available from Camp Chef, including $100 off Woodwind SG Pellet Grills. And then there are the e–mail list specials (sent to e–mail list subscribers, so hurry and get on the list!) that offer free shipping and discounts on such products as the Flat Top Grill 475 and the Big Gas Grill 2X model. With a variety of options to fit your gift buying budget, Camp Chef is offering up some great deals for holiday cooking, outdoors style of course! Hi Mountain Seasonings is offering a week–long web deal of free shipping on all orders of $25 or more. With products that include ready–made jerky, jerky and sausage making kits, marinades, brines, shaker spices, rubs, and plenty more, a visit to the Hi Mountains website between Nov. 23 and Nov. 30 offers line–free, hassle free shopping … with no shipping fees and your gifts delivered to the front door! Incidentally, you can also get this Hi Mountains free shipping deal by simply placing a toll–free call to the Wyoming based company at 1–800–829–2285. Finally, don’t forget throughout your Cyber Monday shopping excursions that Outdoor Sportsman Group offers many, many great ways to give the gift of the outdoors at Christmas time … and all throughout the coming year! How? 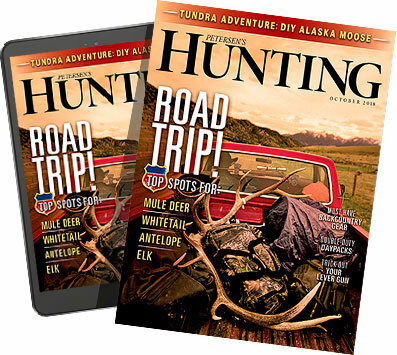 For starters, a subscription to one of our many great shooting, hunting, and fishing magazines can deliver a year’s worth of superb outdoors content that keeps arriving in the mailbox throughout 2019. And with temporary price reductions in place in many instances, OSG magazines offer a great holiday gift idea! Sound like what you’re looking for? For the shooting enthusiast on your list, a year’s worth of Guns & Ammo is a great deal. As are subscriptions to Handguns, RifleShooter, Shooting Times, and Firearms News. For the hunter on your list, there’s North American Whitetail, Bowhunter, Petersen’s Bowhunting, Petersen’s Hunting, Wildfowl, and Gun Dog. Have an angler on your list? If they are a fly fisherman, give them a year’s subscription to Fly Fisherman magazine. If using conventional fishing gear – and ice fishing gear during the wintertime! – is the way they like to spend a day out on the water, consider a subscription to In-Fisherman magazine. There are also our Game & Fish magazines – which are also great for hunters too! – for the various states and regions scattered across the U.S. And finally, don’t forget Florida Sportsman, the leading publication for all things angling in the glorious angling paradise known as the Sunshine State. If your outdoors enthusiast likes to watch their hunting, fishing, and shooting content on a TV screen, personal computer, laptop, tablet, or handheld device, then how about a subscription to MyOutdoorTV? With more than 10,000 exclusive episodes, MOTV is the app that's powered by the worldwide leaders in outdoor television – Outdoor Channel, Sportsman Channel and World Fishing Network. And since you can stream MOTV on iOS, Android, Apple TV, Roku, and Amazon Fire – plus download episodes to most iOS and Android devices – a gift of MOTV brings an almost endless supply of outdoors entertainment options. Almost as endless as the smiles you’re sure to generate when you get the shooting enthusiasts, hunters, or anglers on your holiday shopping list one – or more! – of the Cyber Monday deals noted above!